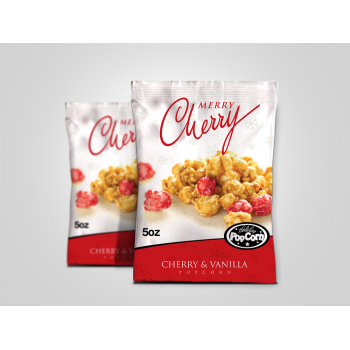 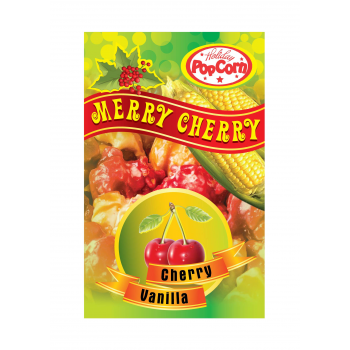 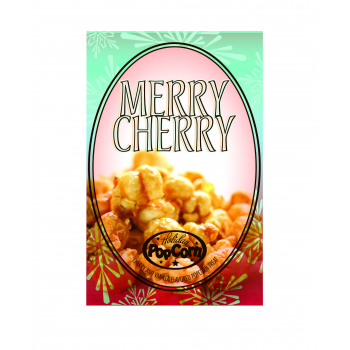 Manufacture seasonal candied popcorn for retail. 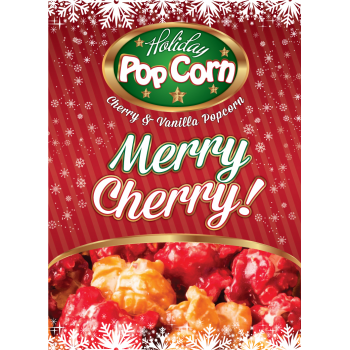 The brand is Holiday Popcorn. 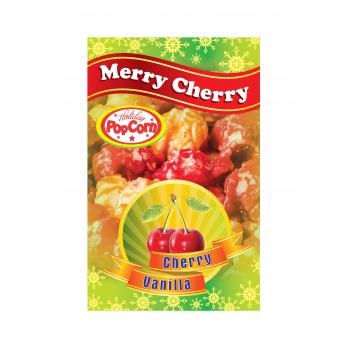 The variety is Merry Cherry! 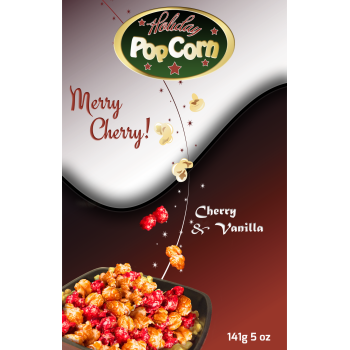 The descriptive is Cherry & Vanilla Popcorn. 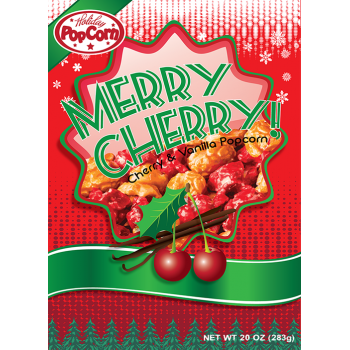 Fun, impulse buy of a Christmas holiday treat. 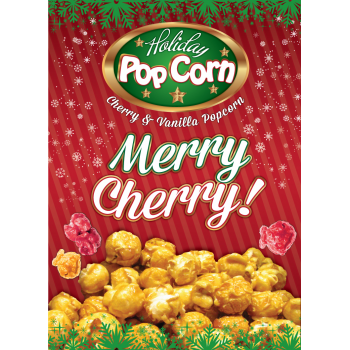 The Holiday Popcorn logo (does not have to remain blue color). 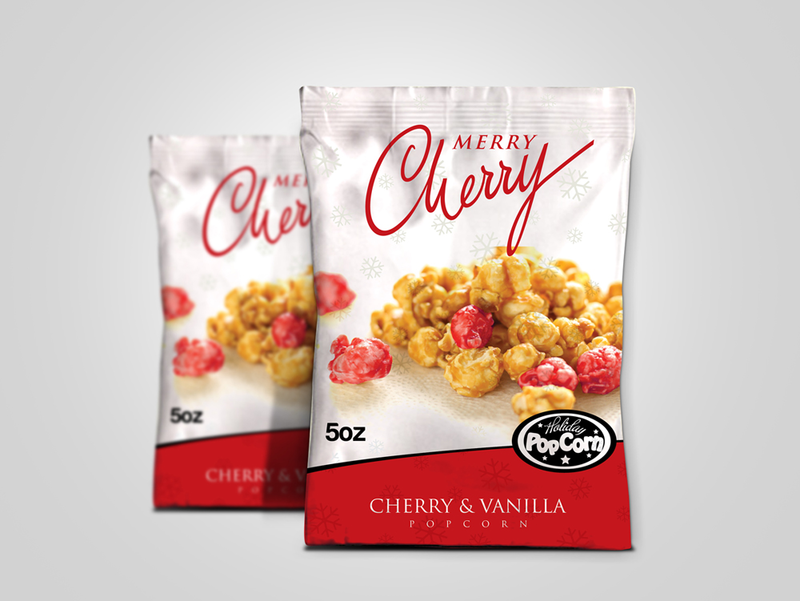 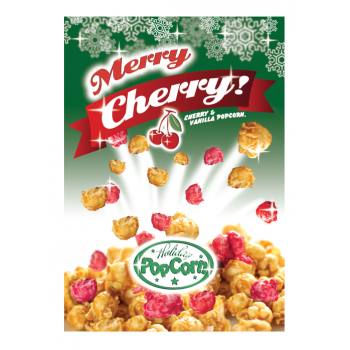 The Holiday Popcorn logo can have alternative color to be more suitable for the package design! There is no window in the bag to show product, must incorporate popcorn imagery on the bag by illustration. 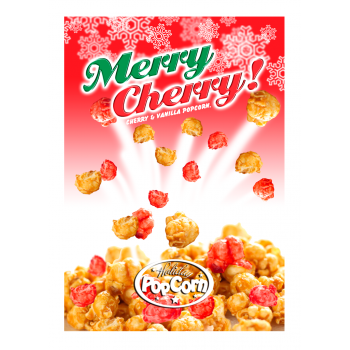 Files of popcorn imagery is attached [optional to use, colorization of some kernels will be necessary to reflect the cherry color (ruby red) and the vanilla color (off-white)]. 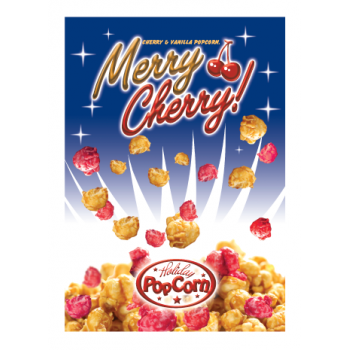 We only want to see front panel artwork for the contest. 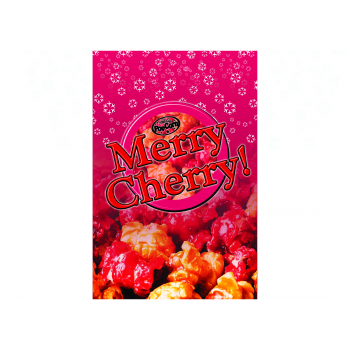 The winner can complete the back panels when necessary. 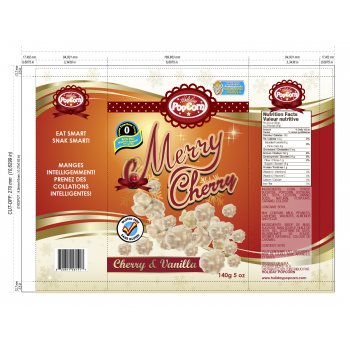 Die line attached of another product attached for reference of layout / size.